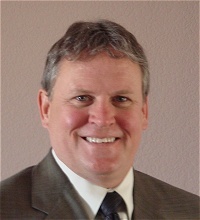 In 1987, Dr Robert Walker graduated from Chiropractic College in the USA. Whilst in Chiropractic school, Dr. Walker also studied various Cranial manipulation techniques and Visceral treatment approaches. To this knowledge, he added his previous extensive background in Biology, Physiology, Biochemistry, Toxicology, Nutrition and Physiological Psychology. Once in practice and faced with many difficult headache and pain patients, he found huge gaps of knowledge in the education of both Chiropractors and Dentists, as well as the entire Medical profession. The Chiropractic schools, while stressing body Biomechanics and neurology, had ignored the craniomandibular system and the importance of proper dental occlusion. The Dental schools had missed the importance of overall body posture and organ function, especially as it relates to head posture and occlusion. He also realized that the cranial system and Nutrition were almost totally ignored in both fields at the undergraduate level. So he set out to acquire further knowledge in the fields of Cranial mechanics, TMJ and Dental Orthopedics. This included study under such renowned Dental clinicians as Merl Bean, Derek Mahony, Jim Broadbent, Terry Spahl, Brendan Stack, Ralph Garcia, Skip Truitt, John Witzig, Bill Clarke, and Jay Gerber. He also studied various Cranial manipulation techniques from many renowned Doctors including Dr’s DeJarnette, Upledger, Denton, Pick, Goodheart and Rees. Since 1987, Dr. Walker has been developing and teaching Chirodontics™ to a global audience. He teaches a multidisciplinary approach to Health, Head pain and TMD, utilizing Chiropractic, Dental Orthopaedics, Cosmetic Dentistry, Nutrition and Cranial Orthopedic manipulation techniques. Robert Walker DC is an internationally known clinician and teacher. He has been a keynote speaker for the American Association of Functional Orthodontics, The Academy of Comprehensive Aesthetics, The Clinical Foundation of Orthopedics and Orthodontics, American Association of Gnathological Orthopedics, Sacro-Occipital Resource Society International, The British Chiropractic Association, and the Australian Dento-Facial Symposiums. In studying, mastering and merging these once diverse fields, Dr Walker has built some of the most important intellectual bridges of the 20th century in the understanding of the human body. He has explored its interactive nature and developed a system of treatment involving these areas of Body mechanics, Dental Orthopaedics and Clinical Nutrition. We are very proud and excited to bring you this Exceptional Dental course series.